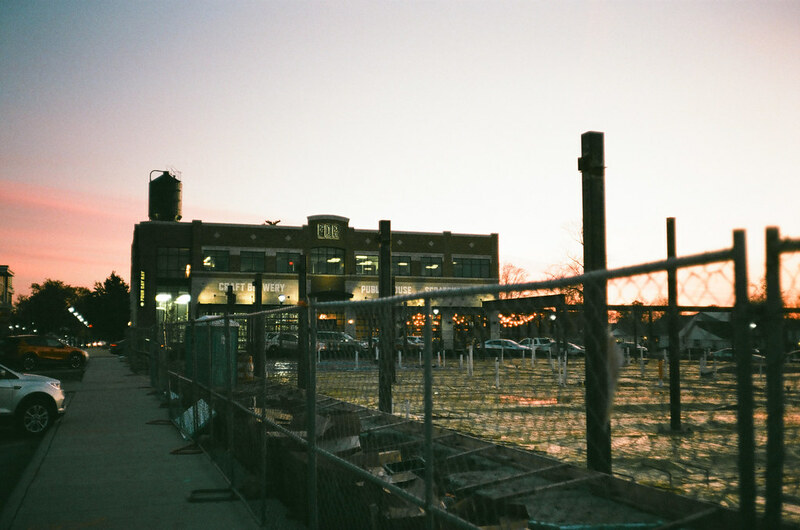 I asked a lot of my Konica C35 Automatic — probably too much, shooting it mostly at and beyond dusk as I did. Late afternoon sun was the best light I gave it. That’s what happens when you shoot mostly after work in late autumn. Given that this autoexposure camera forces wide apertures and slow shutter speeds in dim light, I risked softness and camera shake nearly every time I pressed the shutter button. Let’s look first at a couple late-afternoon photos. This lens has a character that, to my eye, enhances the film’s grain. It’s a pleasing effect, but it does rob images of a little sharpness. But as I said, it’s quite pleasant. It could be put to excellent use for the right subject. The C35 struggled with reflected light. The late-afternoon sun cast this black fence with a delicious glow. I’d admired it for several days on my drive home from work, and this day with the C35 in my pocket I stopped to photograph it. This isn’t a bad shot, especially after I toned down the highlights in Photoshop. It just doesn’t capture the scene’s warmth. I own cameras that could have captured that glow. Of course, those cameras are large, heavy, and complicated compared to the C35. 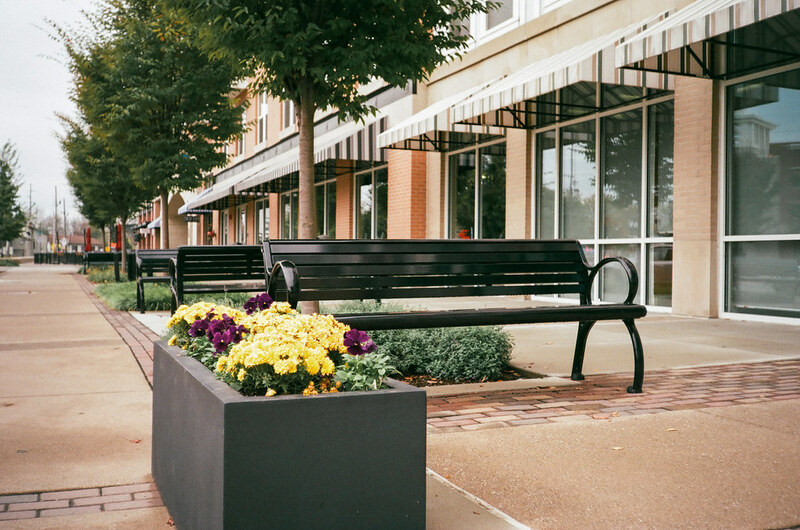 I made this photo in downtown Fishers on a cloudy afternoon. I focused on the front bench. Shooting Fujicolor 200 in this light, the camera chose a wider aperture and softened the background just a bit, to a pleasing degree. 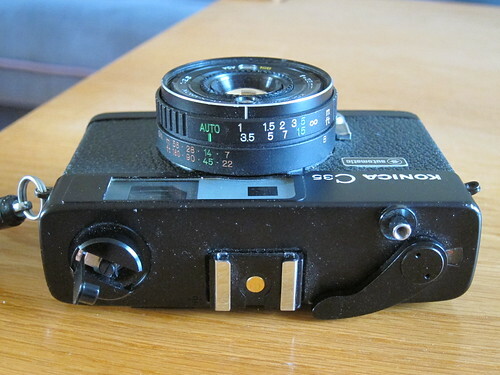 I was lucky to pick up this little rangefinder camera for about 30 bucks a few years ago, as they routinely go for up to $100 in online auctions. While this camera is pleasant enough to use, I couldn’t remotely justify trading a C-note for one. 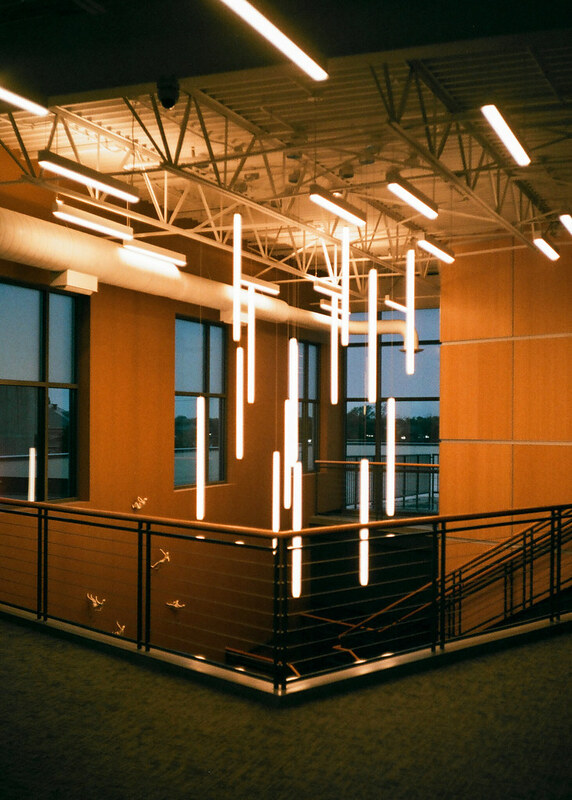 I gave the C35 some challenging assignments, such as this light sculpture inside the lobby of the office building where I work. I made a similar shot here with my Olympus Stylus Epic Zoom 80 on Tri-X earlier this year. I like it better. See it here. I was downtown for a work-related event and had the C35 in my coat pocket. The event wrapped late. 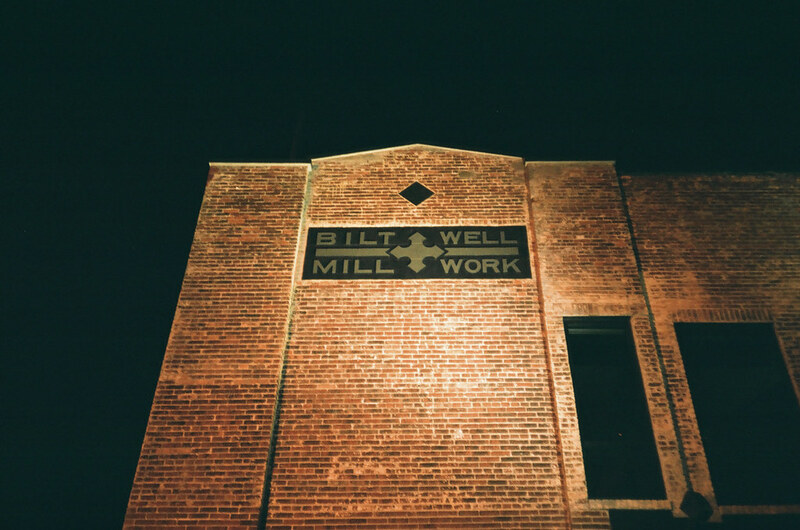 I wondered if the spotlight illuminating this sign provided enough light for a photograph. It did. Of course, it’s hard to focus a rangefinder camera in the dark. 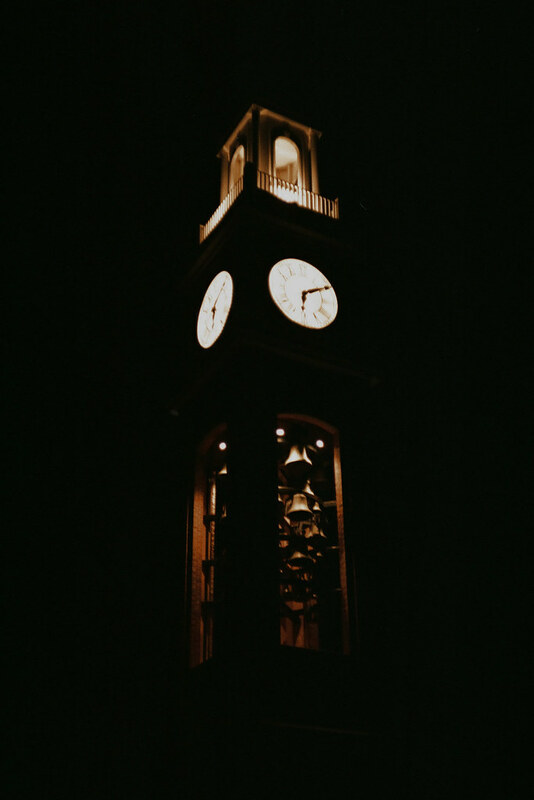 I love how the C35 rendered the light within the bells of this clock tower, but man, I wish I hadn’t muffed focus. 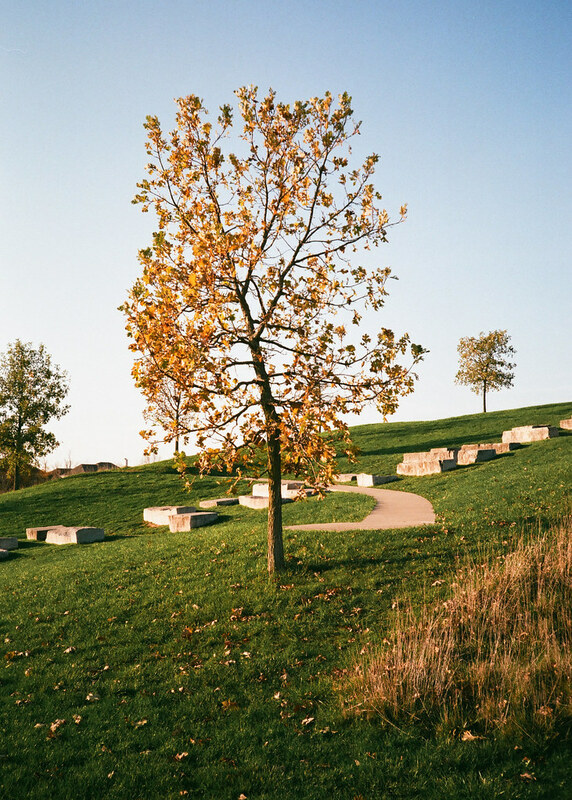 If you’d like to see more photos from this camera, check out my Konica C35 Automatic gallery here. My experience shooting this camera was pleasant enough. It’s certainly a breeze to use: in Auto mode it is a focus-and-shoot camera. But as I shot it, I couldn’t shake a strong feeling that if I kept it, I’d probably never shoot it again. I own other capable compacts that I just like better. 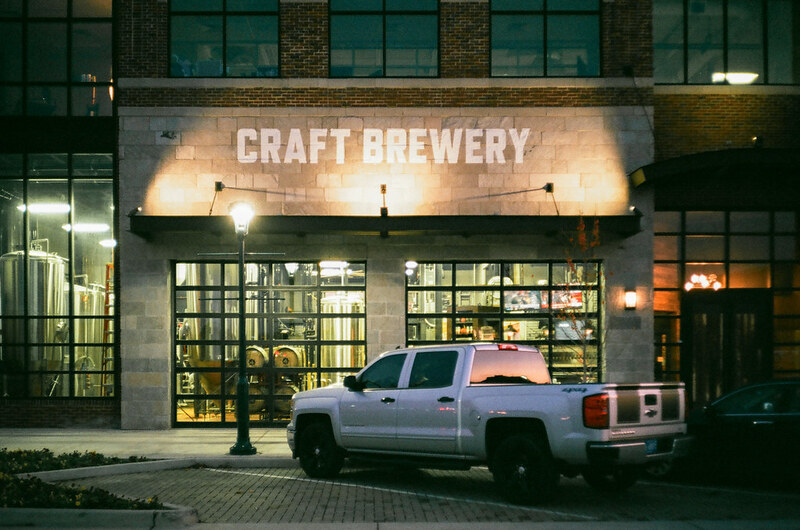 Fishers, Indiana, is under construction. Its downtown is, anyway. Ten years ago there were a few old commercial buildings by the railroad track and a bunch of low houses. Today the houses are all gone, and modern urban density is going in. Soon this photograph won’t be possible; a building will be in the way. A view that soon won’t exist anymore, as soon as the building they’re building here is built. 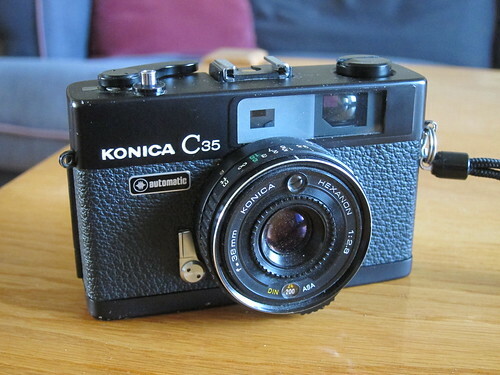 Ever since I started collecting cameras again, the Konica C35 has been on my must-buy list. I was influenced by collectors all over the Internet; everybody seems to really like this little autoexposure rangefinder 35mm camera. Because the C35 is popular, it often sells for more than my soft $50 limit. Patience over several years paid off recently when I came upon this C35 for about 30 bucks. It was icing on the cake that I found one of the all-black models; the C35’s top plate is more commonly chromed. This is actually a C35 Automatic, a 1971 successor to the original 1968 C35. It added automatic flash synchronization, which fires an attached flash in time with the shutter setting for greater flash versatility. When you attach a flash to a non-Automatic C35, the shutter fires only at 1/25 sec. The C35 is all metal. It weighs under 14 ounces and stands about 4.75 inches wide, 3 inches tall, and 2 inches deep. It’s smaller and lighter than any Canonet and larger and heavier than an Olympus XA, but it’s still plenty light and easy to carry. The protruding lens makes it hard to slip in a front pants pocket, but I had no trouble carrying it in my coat pocket. The C35 takes a dreaded, banned 625 mercury battery. Mine came with an unmarked battery of the wrong size. It made contact and moved the exposure meter, so I shot with it. To shoot, press the little button on the bottom of the lens barrel and twist until Auto on the focus ring lines up with any of the numbers on the guide number ring. If a flash is attached, line up Auto with the flash’s guide number. Then twist the little ring right around the lens until your film’s speed appears in the little bubble window below the lens. Wind, frame, make sure the exposure needle inside the viewfinder isn’t in a red zone (indicating over- or under-exposure), twist the focus ring until the rangefinder patch lines up with the subject, and press the button. Sunny days are few and far between during Indiana winters, yet I wanted to use my C35. 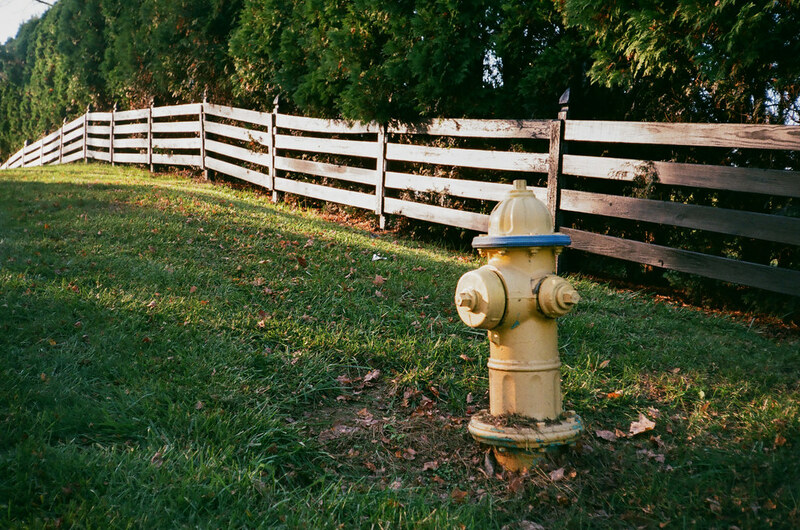 So I loaded some Fujicolor 200 and went looking for colorful scenes despite the overcast. 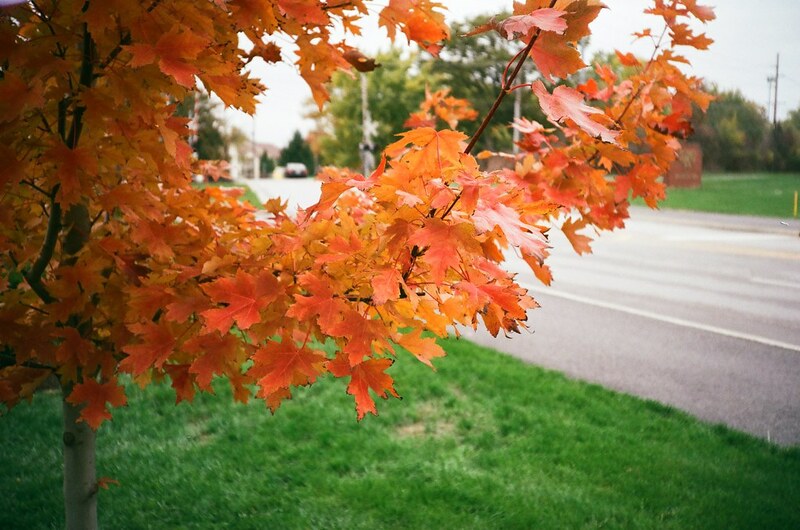 I got a lot of oversaturated reds in my test roll. I drove out to Terre Haute to visit my old friend Michael. 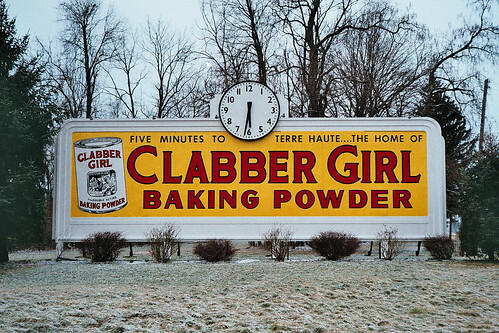 This great billboard has stood on the outskirts of town for decades now. The conditions and the camera worked together to make the yellow really pop. 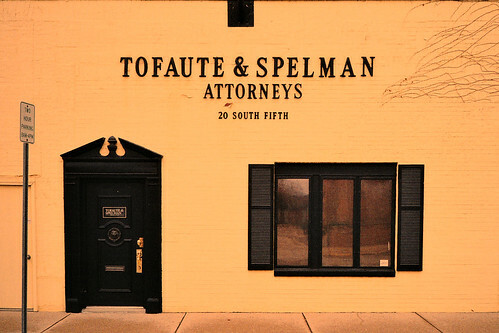 I’ve photographed this sign before with far less dramatic results. However, the C35 really washed out this shot, making the yellow wall a dingy white. So I rescued it in Photoshop. I stopped by Terre Haute’s wonderful Indiana Theater for a few snaps. It was built in 1922 in the Spanish Andalusian style. It seats 1,674. 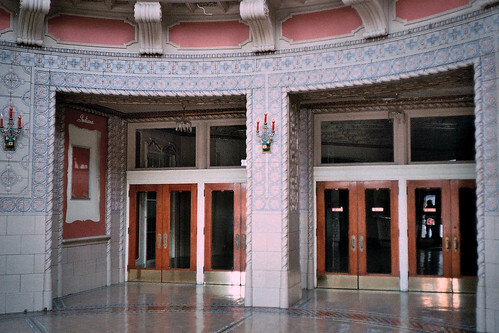 Alas, it shows no sign of being in operation, though its Web site is up with photos of this theater’s stunning interior. The C35’s lens is said to be very contrasty, but I wasn’t getting great results from it on this overcast day. In the photo above, everything under the theater awning is a touch underexposed. 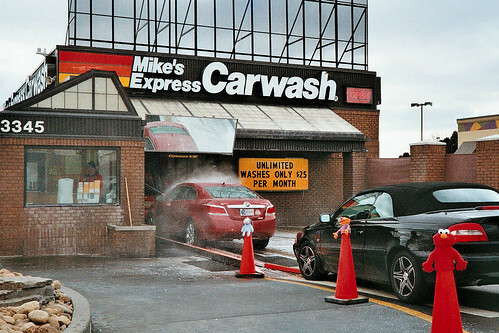 For the photo below, I stuck the C35 to the door glass to shoot inside. The highlights all blew out. Thankfully, a little Photoshopping lessened the effect. 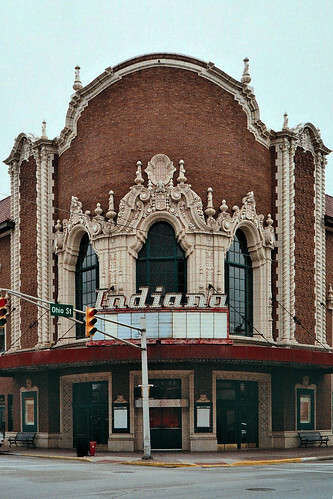 I saw plenty of movies at the Indiana when I lived in Terre Haute. I’ve never enjoyed the moviegoing experience as much as I did there. 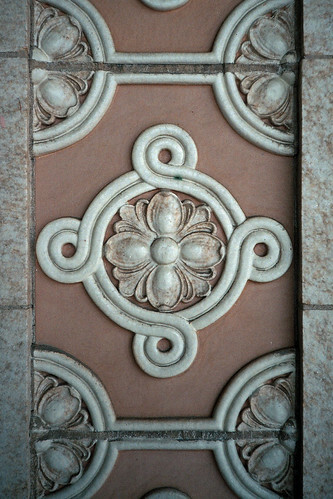 This is a detail from around one of the doors. The cold stiffened my hands, which curtailed my photography. 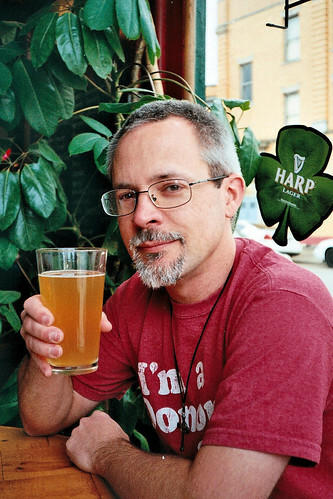 So I picked up my friend Michael and headed to Sonka’s, a favorite watering hole. We sat in a front corner by two big windows where the light was sufficient to get this shot. You may remember Michael as the friend who sold me his delightful Pentax KM. I loved the C35 Automatic’s easy usability but my test roll returned mixed results. 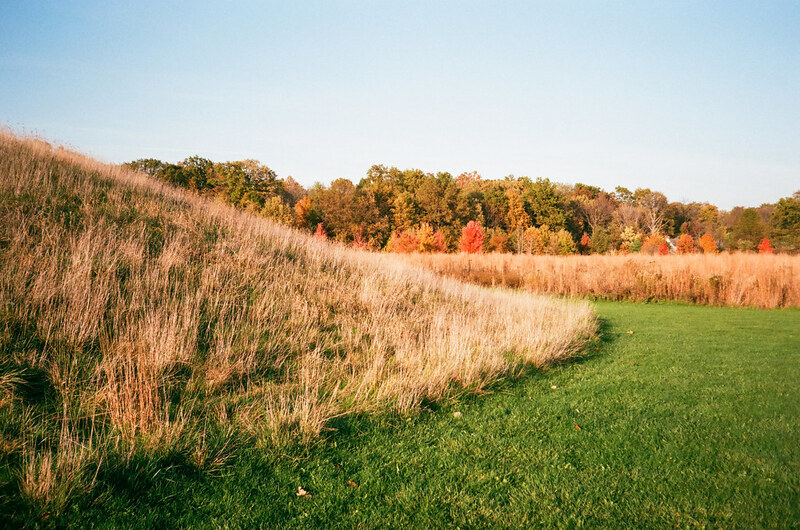 (Check out my entire Konica C35 Automatic gallery here.) People on the photo forums generally say they like 400-speed film in the C35; I shot 200. Maybe the mystery battery that came with my camera wasn’t doing my exposures any favors. And maybe the C35 is simply a better sunny-day camera. I am intrigued enough by this little camera to fiddle with these variables and give it another tumble.